Policy Lab Digital, Work & Society: Re-imagining work. A rapidly changing world of work requires the involvement of many players. The Policy Lab Digital, Work & Society will bring together these players with immediate effect. The digital transformation is having profound effects on society, business and culture. As an important area of people’s lives, the labour market in all its facets is also being impacted by these changes. Production cycles, value added chains and business models are changing and this is having a corresponding effect on the organisation of labour and the work culture in companies. New types of employment are being created. The use of innovative technology in companies requires other skills and qualifications and will thus also change the professions themselves. The OECD forecasts that between 50 and 70 percent of tasks will be reorganised in more than one third of all professions. And this is set to happen within a period of ten to fifteen years. People’s expectations about their work have also changed. Many people want to work in a more flexible manner – independent of a fixed workplace or strict working hours. They desire a healthy balance between their professional and private lives, without having to forgo a successful career. At the same time, flexible working models also pose new challenges: Work and collaboration need to be organised differently and it requires the development of personnel skills so that professional and private lives do not become blurred into one and place a burden on health and family life. Shaping a rapidly changing labour market requires the involvement of many players from the areas of society, business, political science and administration and not least citizens themselves. The Policy Lab Digital, Work & Society aims to help shape the social dialogue about the digital transformation of the labour market. Taking the decisive step together now. 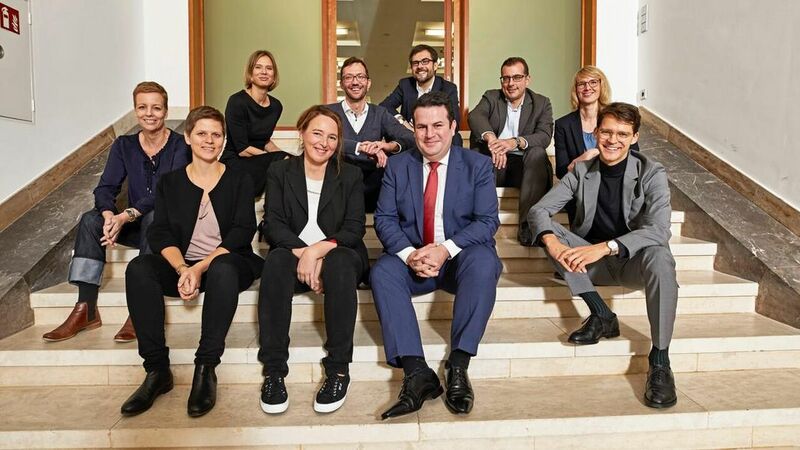 With the Policy Lab Digital, Work & Society, the Federal Ministry of Labour and Social Affairs is establishing a new, interdisciplinary and agile organisational unit that combines the functions and working practices of a traditional think tank and those of a modern future lab. The Policy Lab will start work in October 2018. The aim is to identify new areas of activity for the Federal Ministry of Labour and Social Affairs due to digitalisation and other trends at an early stage, consider the labour market to a greater extent in a social context and develop new solutions for the labour market of the future. The Policy Lab Digital, Work & Society will combine projects and processes dealing with the digital transformation at the BMAS and use them to create a bigger picture of the labour market of the future. It will thus provide a central supporting function for academia, those people involved at a practical level and social partners. The Policy Lab will follow an approach where digitalisation is considered in a consistent and systematic manner based on its impact on people and their social and civic relationships. Especially against the background of a constantly changing digital economy, this approach will be based on the firm conviction that employment relationships can be oriented to the needs of employees and the requirements of good working practices. Using scientific methods for the development of strategic forecasts, the Policy Lab will observe technological, economic and social trends. What significance will they have for the future of the labour market? What lines of development are possible? What is the current state of international research and how can we benefit from the experienced gained by other countries? Where is there a need for research and what partners from academia and those involved at a practical level can help us to identify where there is a need for knowledge and fill any gaps in the research? The Policy Lab will define any immediate and long-term requirement for government policies on this basis. It will develop specific policy tasks for the BMAS and thus make a significant contribution to the digitalisation strategy of the German government. 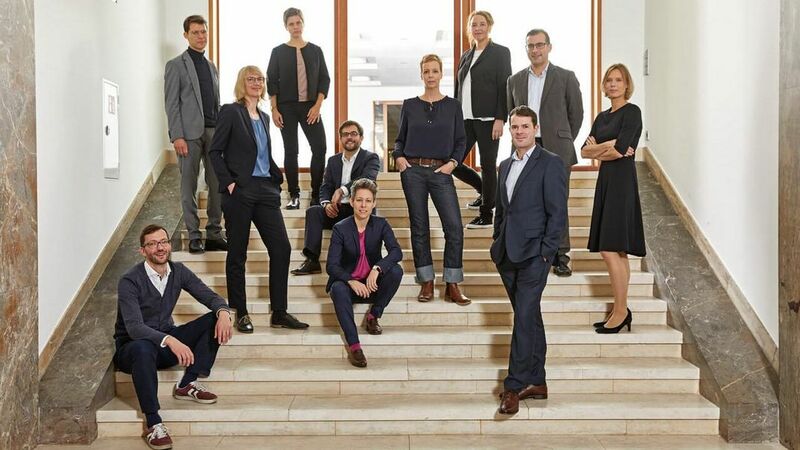 The Team of the Policy Lab Digital, Work & Society with State Secretary Björn Böh­ning and Dr. Julia Borggräfe. Shaping the future is a complex social process in which many players are involved. The Policy Lab will thus be rooted in the debates and discussions being conducted in the field of academia, as well as amongst those people involved at a practical level, in companies, associations, institutions and within the general public. An intensive exchange of ideas and information is just as important for the development of realistic future scenarios as it is for designing new rules and realistic answers to the challenges posed by digitalisation. In order to highlight specific issues from various different perspectives that reflect the diverse range of existing knowledge, interests and experience, the Policy Lab will use a number of different methods for cooperative thinking: from small discussion sessions, workshops and co-creation processes through to multi-day design thinking labs. A planned international fellowship programme will also help to make the Federal Ministry of Labour and Social Affairs open to new ideas. We want to shape things in advance rather than manage them after the event. As part of the Policy Lab Digital, Work & Society, there will be various different formats available on themes such as artificial intelligence, the platform economy or data ethics and data protection in the world of work. Together, we will systematise, analyse and further develop the existing stock of knowledge and data. The Policy Lab Digital, Work & Society will identify a need for policy and bring together and network relevant players and their different perspectives. Add your input and your practical experience so that we can use the findings to develop policy in an active and forward-looking manner. From the fellowship programme through to specialist conferences: The Policy Lab Digital, Work & Society will develop formats that promote interdisciplinary networking, such as labs with specific deadlines, in which experts from various different specialist fields or professions can discuss issues with those people involved at a practical level and jointly develop solutions. Network with the Policy Lab Digital, Work & Society and subscribe here to our newsletter in which we regularly inform you about our work, events and results.